Gratitude, the simple honest expression of giving thanks, is a powerful and universal phenomenon. 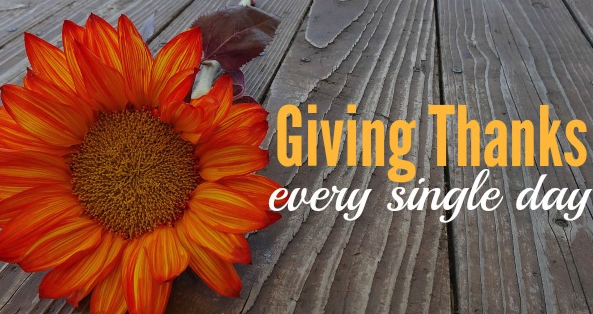 There are sayings of gratitude all around this time of year. It is not joy that makes us grateful it is gratitude that makes us joyful. -Counting your blessing boosts your health. Research has shown that grateful people have less depression and stress, lower blood pressure, more energy and greater optimism. -The daily practice of gratitude through a gratitude journal or writing letters of thanks, slows down the effects of aging. -The positive emotions attributed to gratitude significantly lowers levels of cortisol (the stress hormone) in the body. -Gratitude increases levels of oxytocin (the love hormone) in the body, resulting in better relationships. -People who regularly gave thanks, achieved up to a 10-percentage reduction in systolic blood pressure and decreased their dietary fat intake by 20 percent. -Gratitude increases happiness, promotes forgiveness, makes us more resilient and helps us to sleep better. -Grateful people are more helpful, altruistic and compassionate. Start your own gratitude journal this Thanksgiving. Grab a notebook and place it on your nightstand. Each night, write about three things you are grateful for. A gratitude journal has been proven to be one of the most powerful and well researched positive psychology tools you can use! -What is your happiest childhood memory? -What is your favorite memory of your mother, father, siblings or family pet? -How can you pamper yourself in the next 24 hours? -What is a mistake I have made, that ultimately brought a positive experience? -What do other people like about you? -Who made you smile in the past 24 hours? -Who is a teacher or mentor in your life that made an impact on you and why? -Describe your favorite smell, sound, sight, taste, or sensation. -How is your life more positive today than it was one year ago?